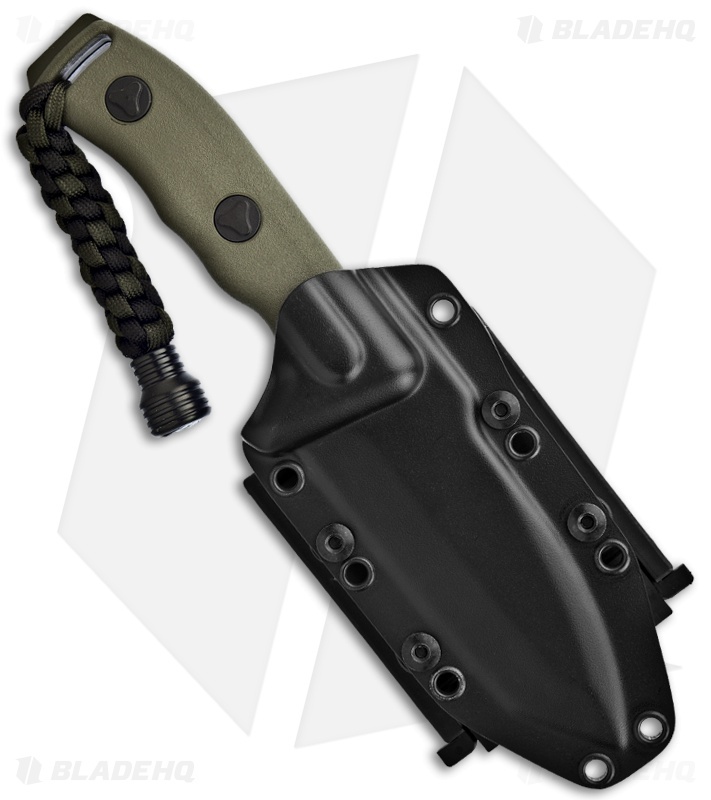 The Currahee fixed blade knife from Microtech was designed years ago for the U.S. Special Forces Boat Team 20. Currahee is a Cherokee name, which translates to "stands alone" and is also the name of the last mountain in the Blue Ridge range. It was there that the US Army established Camp Toccoa during WWII and where the first Parachute Infantry was trained. Microtech's Currahee knife is built like a tank. It has a full-tang Elmax steel Tanto blade with a partially serrated edge and OD green finish. 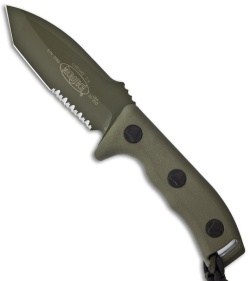 The green composite polymer handle is outfitted with a lanyard and knocker bead. Includes heavy duty ballistic nylon sheath with MOLLE locks.